We are Niagara's Only Multi-Award-Winning Boutique Home Staging & Design firm, having won TOP STAGER NORTH AMERICA 2014, that can expertly balance flawless results with high returns. We realize potential and reveal lifestyles. The Vision + Our Expertise = Award Winning Results. 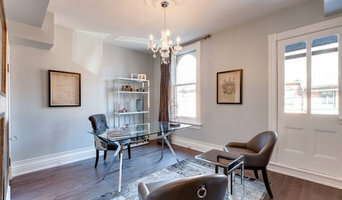 Niagara's only Professional Home Staging Company that has exclusive furnishings and decor and partnerships that make the versatility of our stagings and ability to strategically target specific demographics unique to our industry. 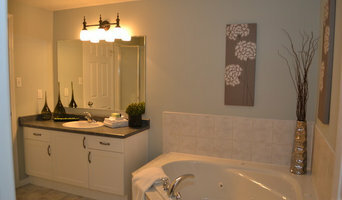 Home Designs Staging Group Inc.
At Home Designs, we’re homeowners too! We know what buyers are looking for and we know real estate. We believe in providing a quality, One Stop real estate service. We’ve also been in business since 2006, so we know a thing or two about staging. We’re so confident about our work, we’ve even published it! We know staging doesn’t have to cost a lot and we believe that all sellers deserve to have a beautifully staged home. We know first hand how important it is to make the right first impression. We promise to make your home beautiful so YOU can sell it faster. 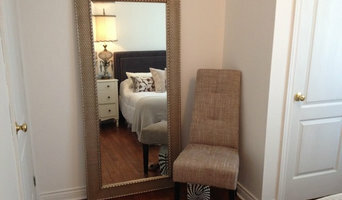 Staging properties is what we do best. You’re in good hands. So sit back, relax and let us do all the work! Professional and affordable interior design, decorating and home staging services in Oakville, Burlington, Mississauga and the surrounding area. 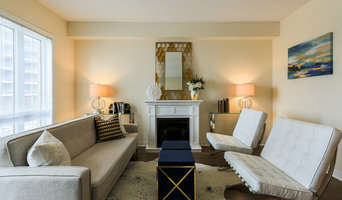 Euphoria Home Staging & Redesign is dedicated to helping Home Owners and Real Estate Investors prepare their property for Sale and yield maximum Rate Of Return. Natural look staging has been in business for 9 years. We are a family business dedicated to working long hours. We are loyal to all our customers and will meet customer satisfaction. We encourage to use clean, new looking furniture and props as we do have available. When you have a house that has been updated, you want to show this off to the new buyers to give you the most for your sale. The staging will take place for this....depending what side your house is facing, the proper pictures need to be addressed, what size of rooms do you have? What shape are the rooms? The furniture will be placed for the buyers eyes so they will keep an interest to see the rest of your house. You want buyers to notice every updated detail you spent to make the most of your sale. The eyes for buyers start outside of your property which is the curb appeal and once inside you have 2-3 seconds to give the welcoming feeling to the new potential buyers, this is why the foyer is important. Everyone feels their house is the best...the best in only seen by the buyers. 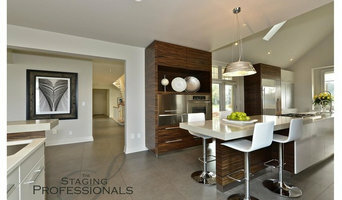 Staging has become an important factor for selling your house for the most. A vacant house does not sell as quickly or for more money as people like to see a furnished house. A furnished house does not have the questions buyers need as they can see how and where things get placed. We are very competitve with our prices, happy prices make happy customers. Turning your biggest investment into the most sellable state for potential buyers. Styling homes beautifully to sell or to live! We offer custom solutions for your Styling & Decorating needs. EVERY LITTLE DETAIL - an interior decorating company specializing in Home Staging, Organization and Redesign. We offer in-home consultations for our Home Staging and Organizing/Decluttering services. Whether you are selling or staying we offer cost effective solutions to fit all of your home needs. Always providing friendly, efficient, and professional services to show the best side of your home!